A company’s success depends upon the ability to establish actionable plans to achieve its goals. When planning for revenue growth, it is imperative to understand which key areas you should direct your attention to in order to maximize your chance for success. To do this, focus on accurately identifying and measuring your company’s Key Performance Indicators (KPIs). Understanding how to improve these important metrics will allow you to lay the groundwork for your business’ strategic and operational success. KPIs measure how you are performing in specific areas, then help you quantify how that performance affects your company. Knowing which KPIs are most relevant for you will help you set benchmarks, which are a reference by which you can assess the performance of business initiatives or operational changes. KPIs also contextualize your progress in relation to your peers, so that you can remain competitive in your industry. Without proper KPIs, your business strategy will lack the clear direction that drives growth and excellence every day. Using them effectively will improve revenue generation, customer growth, operational efficiency, and savings. To determine the right KPIs and benchmarks for any type of project, you will need to build a cross-functional team that consists of experienced and highly-skilled members from your finance, operations, and customer service divisions. Some KPIs may be easy to identify. For example, net profit is an easily identifiable KPI because revenue generation is required to sustain a business. However, your cross-functional team will help you determine what the right benchmarks are to measure your bottom line’s success, as well as help you isolate other areas that need to be assessed. When you assemble your team, the expert from the finance side will help you understand major cost centers. This will guarantee that goals are being met and that funds flow to the right projects. They will also determine what specific teams—like sales and marketing—need to do to drive revenue growth. Your operations expert will illuminate how things work across the enterprise. 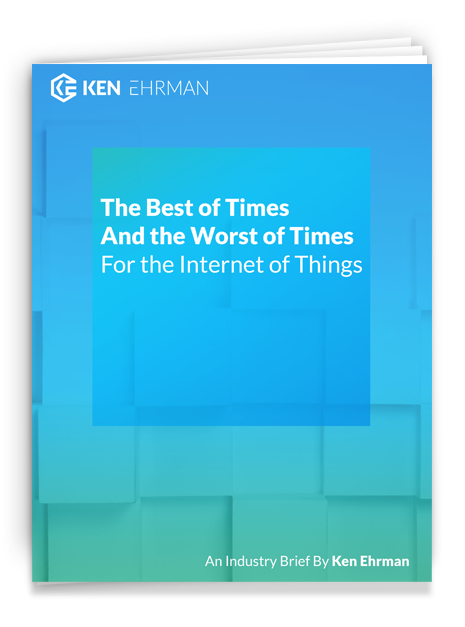 They can identify inefficiencies, opportunities for automation, and draw attention to which technology or management improvements are required to remain competitive. The customer service specialist on your team will identify which areas impact customers the most. This will emphasize the importance of improving your product or solution for users. By understanding your customers’ pain points, the team can also focus on KPIs that will increase the number of repeat customers, increase sales, streamline processes, and improve operations. You will also want someone on this team who is experienced with IoT and analytics. However, if you don’t have this type of leader available, click here for some recommended guidelines to get started. Once your team has identified the Key Performance Indicators that require your attention, you need to consider a few factors to establish the right benchmarks. One element to consider is how you measure up against your competition. In the forklift industry, for example, your utilization rate is an important KPI. Assessing your company’s overall performance in relation to your peers will contextualize your goals based on market expectations. This will help you apply meaning to the improvements you are trying to make. First, set up an analytics system to mine your data. This will allow you to you to determine today’s utilization rates. Then, draw upon your finance and operations team members’ knowledge to analyze the current associated operational costs. In that same analytics database, input any data that you can legally obtain about competitors’ performance. If these analyses reveal that you have a 50% utilization rate and that your company is in the 40th percentile of your industry, then it will be clear that some action needs to be taken to improve your operations. However, if you observe instead that the top performer in your industry has only achieved a 60% utilization rate, this may mean that a 50% utilization rate is acceptable for your company. If so, your team may advise you to avoid spinning your wheels or over-spending to achieve a rate that may not be possible. In this way, you can figure out what’s possible before you try to figure out which benchmarks work for you. Once you have established your position in relation to your peers, you should now estimate the savings that could be generated from any improvements. You will have already calculated what today’s operational costs are in Step 2, so use this information to start. Consider an example where you are measuring forklift utilization rates for a fleet of 100 forklifts. If they are being driven for one shift and you are paying each driver $50,000 a year, then your total annual cost to pay employees for that shift is $5,000,000. Since you already compiled data to understand where you are in comparison to your peers, you now have an idea of what level of performance is expected—or even possible. Next, determine what the value would be for your company if you were to set a specific benchmark. This is where your finance team member will be especially effective. Quantify what the savings would be for a 1%, 5%, and 10% improvement in utilization rate. In this scenario, even a 1% improvement in utilization rate means that you will save $50,000 dollars in that year. Now you have established what the off-the-cuff savings can be, your financial advisory team member will help you break down more complex savings, as well as what cost centers can be targeted best. This is helpful when deciding which goals are worth setting. After establishing the incentives for improving your KPIs, look at your top performers and measure them against your bottom performers. You can measure top and bottom performers in terms of employees, operators, managers, entire facilities, available technologies, etc. Figure out what causes both the top and bottom performances, then brainstorm solutions. Your analytics database will help you dive into the details to recognize which patterns exist in terms of operations or available tools, and then close any performance gaps. Through your data, you can tell whether better performance occurs at certain times of day, or in specific warehouses. Then, you can look at what resources, employees, or circumstances are likely impacting performance. Let’s take an example where your company owns a rental facility. If your customers have a 50% satisfaction rate concerning the ease of the rental process, but most of your competitors have a 60-70% satisfaction rate, you will need to find a reasonable solution to close that gap. Using analytics, you can measure the time taken between the time of payment and the car leaving the lot. By tracking this process through various checkpoints, you can identify any bottlenecks. Does satisfaction dip during particular shifts? If so, is this due to employee inefficiency, or lack of available employees? If the satisfaction rate is instead aimed at the time taken to get to the gate, look at the performance of other facilities. If you have a higher satisfaction rate at a facility that has 6 gates rather than 3, you may need to add another checkout gate to address the bottleneck and move vehicles off the lot faster. Use this process across all KPI assessments. Using comparisons between top performers and bottom performers is an excellent way to isolate problem areas that can be addressed. Once you have addressed the previous four steps, you will have ample information to set the right benchmarks for your company. You may choose to use the industry benchmarks that you determined in Step 2, or you may adjust that benchmark due to the cost assessment conducted in Step 3. If you see that your own top performers surpass the industry standard, you may decide to roll out that solution across your enterprise and set a new standard with your internally-based one. Next, check your solutions’ performance over time. If you started a project at 50% utilization but end at 53%, you can easily demonstrate value and continue to improve across your enterprise. However, if the benchmark that you set initially has proven to be too high, you can make changes where necessary to make cost adjustments. 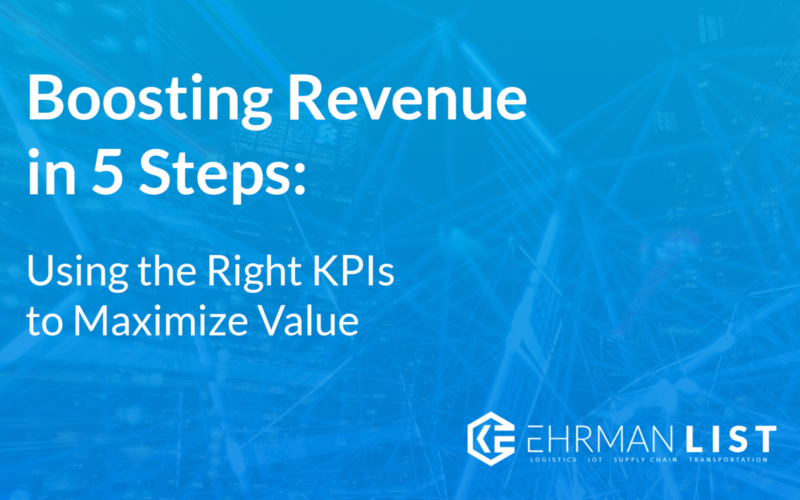 This process of measuring KPIs and setting the right benchmarks is critical to boosting your revenue. The tools are available from a software standpoint, so ignoring these opportunities for improvements would be a major misstep. Measuring key metrics will direct your projects down the right path, allowing you to keep up with your end-of year objectives from a cost-savings, revenue generation and ROI standpoint. Knowing how to measure KPIs effectively will help you drive savings, improve operations, increase revenue, and maximize the ROI for existing or potential technology solutions—helping you drive growth and stay competitive. For more information or help directing this process, you can contact me at ken@kenehrman.com. With over 25 years of experience directing business initiatives like the ones listed above, I can set you on the right path to dramatically improve your business operations while getting the most value from your data. 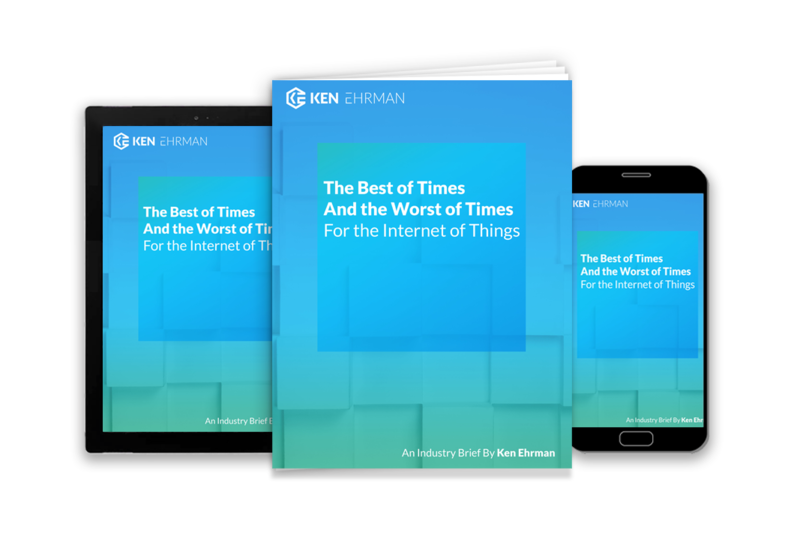 For more like this, subscribe below for my Ehrman LIST, where I bring you essential content, insights, and information regarding Logistics, IoT, Supply Chain, & Transportation. Always be in-the-know, with regular updates that provide the best tools to keep your company’s solutions on the cutting edge.